Updated | Russian President Vladimir Putin is about to get a starring role as a matador in a Finnish animated series, according to Finnish national public broadcaster Yle. The show will center around a bullfighter who loses his job—a concept inspired by cartoonists from Spain’s Catalonia region. Catalonia banned bullfighting five years ago. The cartoon is partly funded by the Finnish Cultural Foundation. The project has an international crew behind it, including Finland’s Katariina Lillqvist and artist Juho Juntunen. Speaking to Newsweek , Lillqvist revealed further details about Putin’s portrayal in the satire called The Last Matador . “As we know so well here in Finland, Mr. Putin is an eager fan of all kind of extreme sports like scuba-diving, free-flying and hc-biking, and this fact has been a good source for our current script,” she says via email. Want your lawn cut with that? Posti to begin trimming lawns with Tuesday mail. The Finnish mail carrier Posti says it will begin a new grass cutting service with Tuesday mail deliveries. The service will last until the end of August, but customers must provide their own lawnmowers. 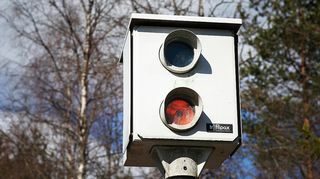 A pan-European speed enforcement campaign carried out in Finland Thursday caught 4,800 speeders, despite the fact that the blitz was heavily publicised ahead of time. http://yle.fi/uutise Separately, it has been recently reported that 97% of scientists believe that an increase in global stupidity is caused by humans while 3% continue to deny the link. Heidi Cruz, the spouse of the Republican presidential candidate Ted Cruz, has a Finnish grandfather. Her mother’s father, Olavi Johannes Rouhe comes from Savonlinna, Finland. He moved to the US to pursue medical studies at Loma Linda Medical School, graduating with the class of 1934. After completing his studies, he worked for 22 years as a missionary in the Belgian Congo and after that nearly 30 years as a surgeon in California. He was a Seventh Day Adventist and also an ordained minister. He passed away in 2006.Heidi Cruz told a Finnish journalist that she visited Finland in 1982 when her grandparents celebrated their 50th wedding anniversary. Is Helsinki the world’s coolest city?